One in four Canadians waiting to see a gastroenterologist is affected in his or her day-to-day functioning. One in three Canadians waiting to see a gastroenterologist experiences anxiety as a direct result of digestive problems. Canadian gastroenterologists and the Canadian Association of Gastroenterology (CAG) know Canadians have reason to worry. Digestive diseases represent 15% of the total economic burden of Canadian health costs and cause a loss of productivity reaching $1.14 billion annually. That’s more than mental, cardiovascular, respiratory or central nervous system diseases. Meanwhile, Canadians have told Statistics Canada that waiting lists and wait times rank among their top health concerns. Despite the harsh realities surrounding digestive disease, Canadians must wait an inordinate amount of time for gastro-intestinal consultations and access to specialized testing. Case in point: 25% of patients with alarm symptoms, indicators of disease such as cancer, are forced to wait 4 months before their case is seen by a specialist. That’s far longer than the 3 weeks Canadians have told us that they’re willing to wait. Frankly, four months is unacceptable. It is time we got our priorities straight. Surprisingly, in developing its wait list reform of the Canadian health care system, Paul Martin’s government overlooked digestive disease. The Canadian Association of Gastroenterology has sent a call to action to Prime Minister Paul Martin, urging him to include digestive disease as a health-care priority and ensure Canadian patients obtain necessary and timely access to our specialists. The association’s study of 5,500 patient visits to nearly 200 Canadian gastroenterologists shows that 70 per cent of patients referred by family doctors wait more than two months to see a gastroenterologist and have a diagnostic test, while 50 per cent wait more than four months and 20 per cent wait more than 10 months. Continued Below Among these patients, more than one-third have alarm symptoms, which may indicate serious underlying disease such as cancer. Even patients classified as urgent are waiting two to five times longer than best practice targets recommend. Dr. Desmond Leddin, the association president and an associate professor of medicine at Dalhousie University in Halifax, calls the situation “unacceptable.” “We are able to see patients in a time frame that expert review would suggest is only appropriate 20 per cent of the time. There really is a severe problem in terms of wait times for gastroenterology and consultations.” Based on the results of the study, Leddin has asked Prime Minister Paul Martin to incorporate gastroenterology as a priority into the federal government’s program to reduce waiting times. “Patients are suffering while they’re on wait lists,” Leddin says. “And we quite frankly don’t understand why the first ministers and the federal government have identified five areas as a priority for wait time management but gastroenterology is not on that list.” Those five key areas are: cancer treatment, cardiac care, diagnostic imaging, joint replacements and sight restoration. A simple cash infusion to bolster human and technical resources will not remedy the current wait list situation, Leddin says. “Canadian gastroenterologists will need to work hand-in-hand with federal and provincial governments … and move toward the improved use of these resources. “We hope that by 2008 patients with digestive symptoms should not have to wait more than eight weeks to see a gastroenterologist.” With files from The Medical Post. Each endoscope requires a complex and specific multi-stagecleaning processdictated not only by provincial and federal guidelines, but also by the manufacturer. The hospital says in this case, it wasn’t following the manufacturer’s specific guidelines for this specialized endoscope. “Endoscopes are particularly complex and difficult to clean because they’ve got very long, very narrow channels,” said infection prevention and control expert Dr. Mary Vearncombe. “It’s very difficult to make sure that those channels are flushed and disinfected properly in between uses, just because their diameter is so very narrow.” Dr. Armstong said the late discovery highlights a need to regularly review whether the team in charge of cleaning endoscopesis doing it properly. Common procedure He says the issue is analogous to the deadly E. coli contamination of the water supply in Walkerton, Ont. in 2000. In that case,procedures were in place to ensure safe drinking water, but checks weren’t done to ensure the processes were followed. “One knows what needs to be done to produce a safe water supply, but if the appropriate checks are put into place but they are not monitored and verified, then it’s possible to assume that everything’sOK and the processes are being followed without actually documenting that its actually done on a daily basis or a weekly basis,” said Armstrong,a McMaster University associate professor and consultant gastroenterologist at Hamilton Health Sciences. Every year, about 1.6 million endoscopic procedures are performed in Canada, a figure representing about five per cent of the population. Despite how common the procedure has become, hospitalstend totrack incidents of improper endoscope cleaning that result in patient harm on an ad-hoc basis, says Armstrong. Thatmeans the public only learns of problems when the media covers large-scale events disclosed by the hospital. “From the point of view of how often it actually happens, it’s actually very difficult to know, because without appropriate tracking mechanisms, this may just go undetected,” he said. Through its latest Canadian Association of Gastroenterology Survey of Access to GastroEnterology (SAGE) completed this April, results reveal a worrisome trend of longer wait times. 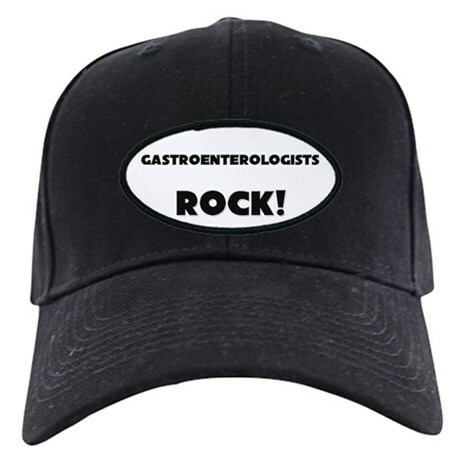 Data was gathered from nearly 200 participating gastroenterologists who submitted information on approximately 2,000 patient interactions within the health system. SAGE surveys were also conducted in 2005 and 2008 . Over a seven-year period, the trend in longer wait times is evident according to soon to be published 2012 SAGE data. “Our analysis shows that patient wait times are now 30 days longer than they were in 2005,” says CAG Dr. Desmond Leddin, Lead on the CAG SAGE program. “This is a disturbing trend, and one which indicates a need to pursue strategies to ensure patients receive the digestive care they need in a more timely manner.” As an example, the recent SAGE data shows that a patient with a high likelihood of severe Inflammatory Bowel Disease (IBD) can expect a total wait time of 126 days. Of these 126 days, patients wait on average 72 days for a consultation and 44 days for a diagnostic endoscopy. Given the target total wait time of 14 days for this disease category, these patients are waiting 16 weeks longer than the recommended wait time target. (See fact sheet ) “The gap between current wait times and the desired target is too wide and wait times are getting longer,” says Dr. Dan Sadowski, President of the CAG. “In human terms, what this means is that many patients live with pain and some are unable to work or attend school and can only do so with difficulty while waiting for consultation and treatment.” This year, the WTA report is shedding more light on the total wait time(i) Canadians can experience in receiving necessary medical care. Thanks to the total wait times data collected and provided by CAG, the WTA report is now more comprehensive than ever. “The CAG has been a source of robust information for our expanded focus on wait times”, says Dr.